I dig that Bilstein badge. Almost wish I could find one. I personally don't see the need to place a sticker on my fender indicating what shock absorbers I'm using but it must be cool (and I'm running Bilsteins too). Nice pics and quality content! BTW if you are after sidemarkers, I have a couple of sets and can source more for relatively cheap. I just like that it's a factory thing. I wouldn't go looking for one as an aftermarket addition. If I recall correctly, didn't the US '93 LE's also come with the Bilstein badge/sticker that could be owner applied? I have mixed feelings about drilling holes in fenders (or any part of my cars, for that matter). BUT, if big overfenders are in the works for Kirin, my vote is for ZOOM sidemarkers-winkers for that little splash of chrome to go with everything else. They're also LED now, which is kind of neat. He'll NEVER cut up Kirin. 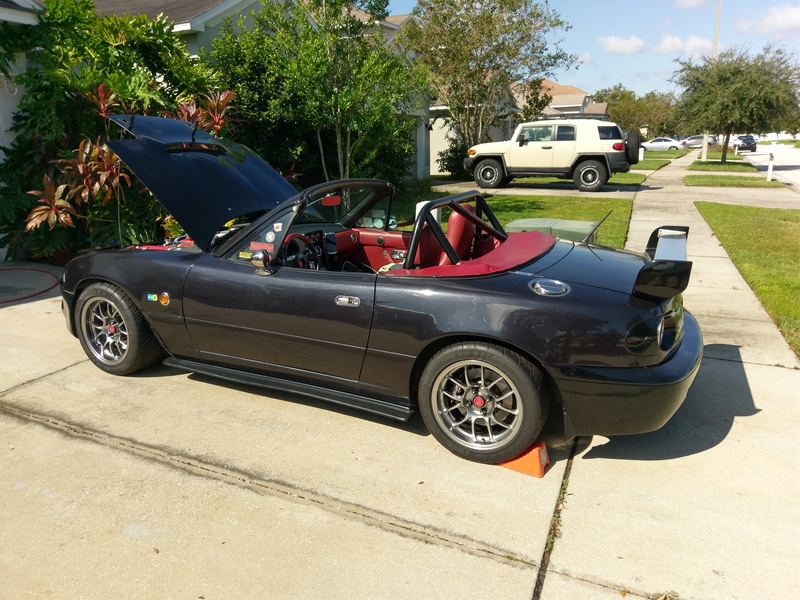 I've told Randy many times over the years to just buy a decent, non-riced NA and put the widebody kit on that. You can get them on YahooJP. I bought a couple, but ended up going with the Bilstein badge they put on Subies. Hard to see in this pic, but it's forward of the side winker. Oddly enough Randy did have zoom side markers. 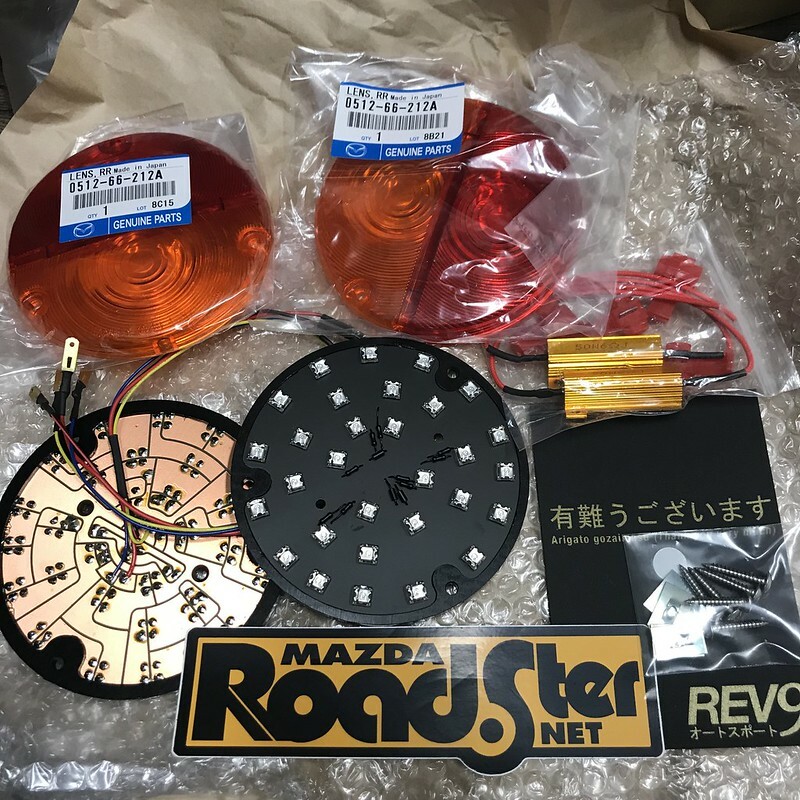 I bought them from him at the same time I bought Rooster's Roadster brake light. Yep, they are in my car. Second time I ever used a hole saw. First was the 3 inch hole in my frame for my hot pipe.